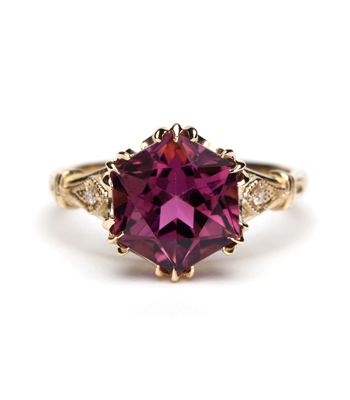 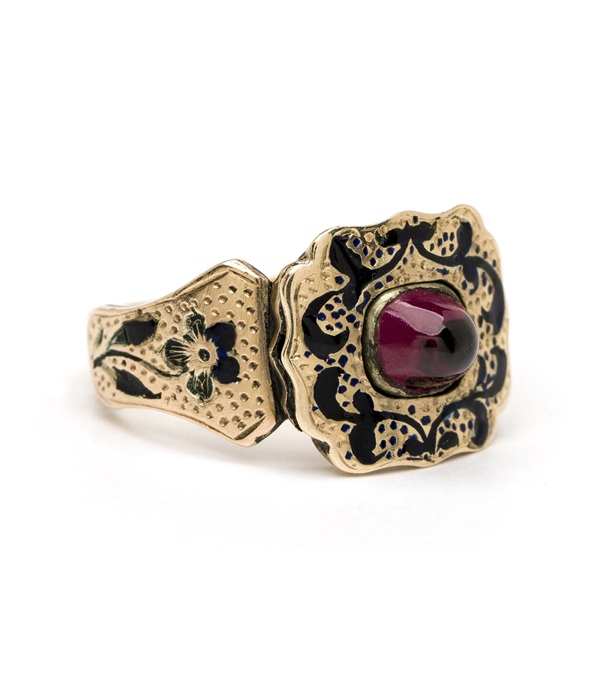 Rich and regal, this gorgeous antique ring is full of beautiful details. 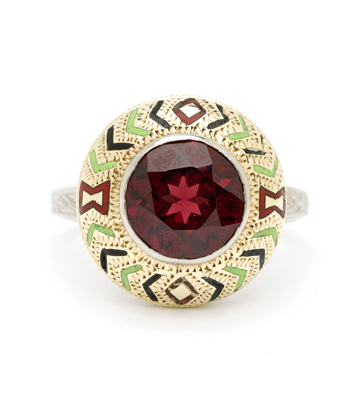 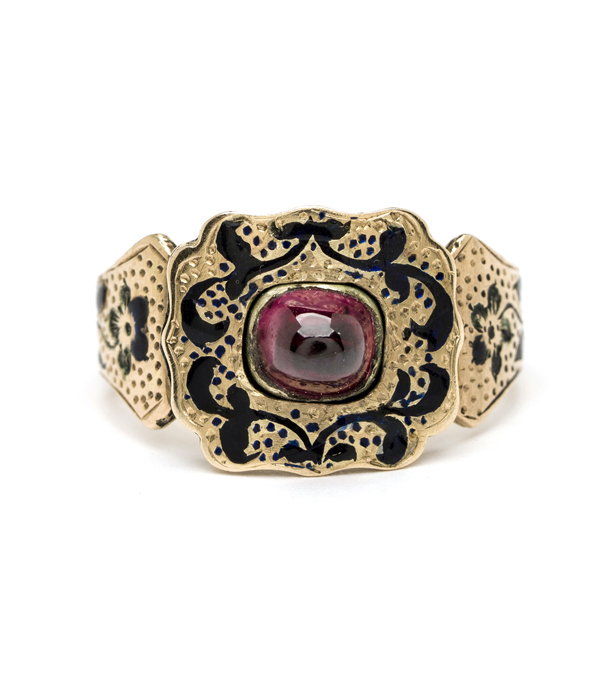 Crafted in 14K rosy gold, this original Victorian ring features a smooth garnet cabochon at the center of a scalloped shaped band, highlighted with black enamel scrolls. 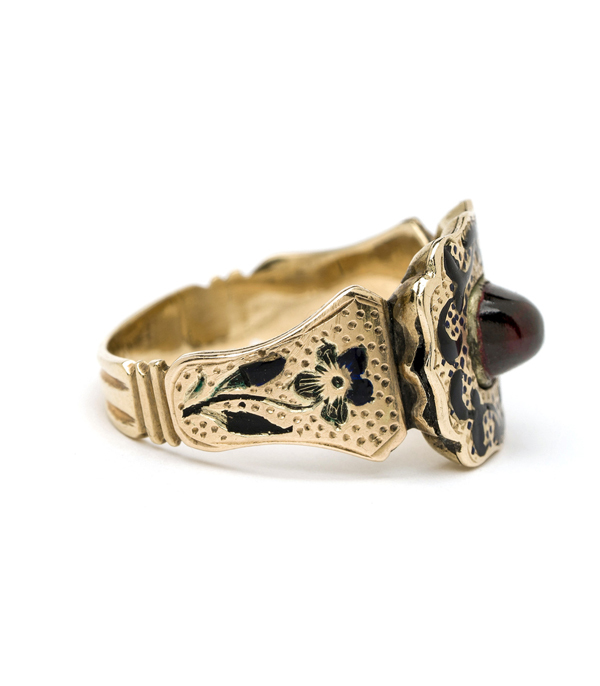 The band tapers ever so slightly at the back, yet still stacks with other bands. 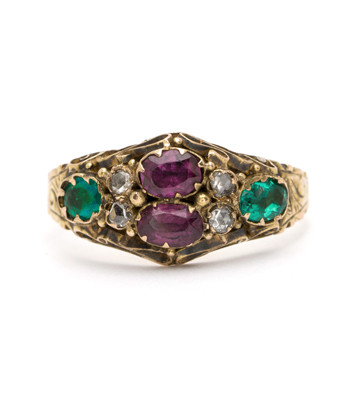 A desirable piece for any antiques collector who loves to layer her rings!